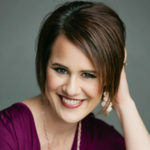 Katie M. Reid is a dynamic speaker, author, and worship leader. 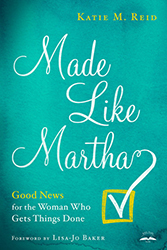 Her first book, Made Like Martha: Good News for the Woman Who Gets Things Done is published by WaterBrook. Katie has also been published on sites like: HuffPost, Focus on the Family, Crosswalk, MOPS, and For Every Mom. She encourages try-hard women to find grace in the unraveling of life at katiemreid.com. Katie has a Masters Degree in Secondary Education and is a trained Bible Study facilitator. Her award-winning essay about her brother with Down Syndrome was published in Tales of Our Lives: Reflection Pond by Matilda Butler. Her album “Echoes of My Heart” is available on Amazon. Katie also interviews and consults with creatives. She enjoys cheering others on as they give birth to their God-given dreams. She co-hosts “Stop! Hammock Time” (a weekly marriage show) with her husband. Katie is married to a youth pastor and is mom to five lively and wonderful children. They make their home in the middle of Michigan. Cut-to-the-chase conversations over hot or iced tea is one of Katie’s favorite things. The Blythe Daniel Agency is professional, personal, and committed to excellence. They are well-versed in the publishing industry and dedicated to their clients.